Vadodara Congress women wing on Monday gives an FIR to the police commissioner regarding the abusive comments on Congress General Secretary Priyanka Gandhi on social media. They demand strict punishment against the culprits behind the posts. Priyanka Gandhi was recently made the General Secretary of the party and social media was flooded with messages and posts. 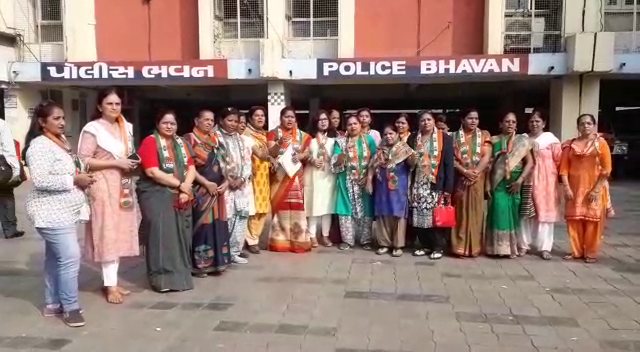 However the women wing of the party raised their protest against unknown persons for abusive posts against her and gives a complaint in this regard to the police commissioner. In Vadodara also the women wing under state party vice president Trupti Zaveri gives complaint to the commissioner and demand the cyber crime to take action against the unknown accused for posting such posts. She said the nomination sends a new source of inspiration in the women members of the party but the posts sends a wrong message not to her but to every women of the country.